The CData ODBC Driver for Salesforce can be accessed using the built-in data access tools in Excel. 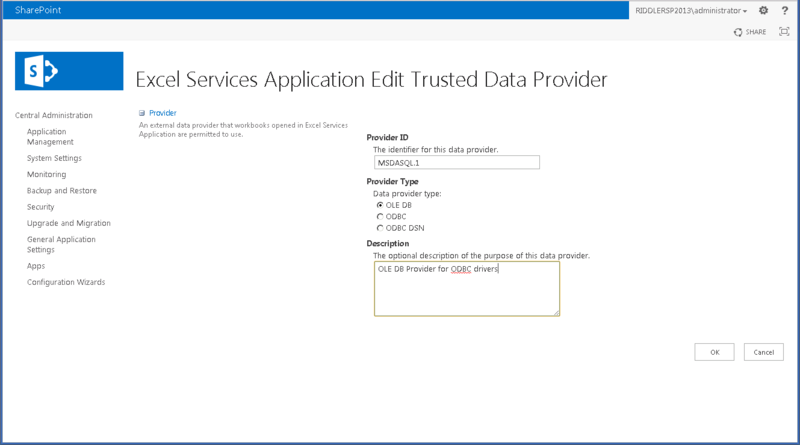 This article demonstrates how to use the CData ODBC Driver for Salesforce to connect to Salesforce data from Excel spreadsheets in on-premises editions of SharePoint. 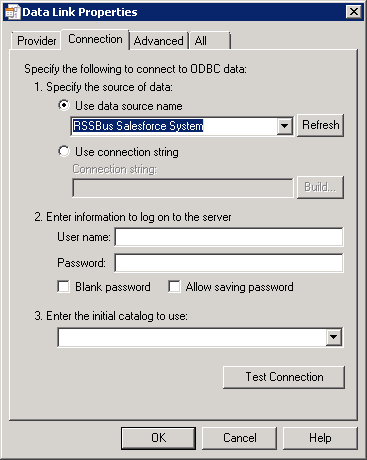 Once the ODBC DSN is configured, you can configure Excel Services to use the DSN to connect. To do this, you will need to set up the OLE DB provider as a trusted data source. You will also want to decide if you want to use a Secure Store Service to enable single sign-on functionality with the ODBC driver. 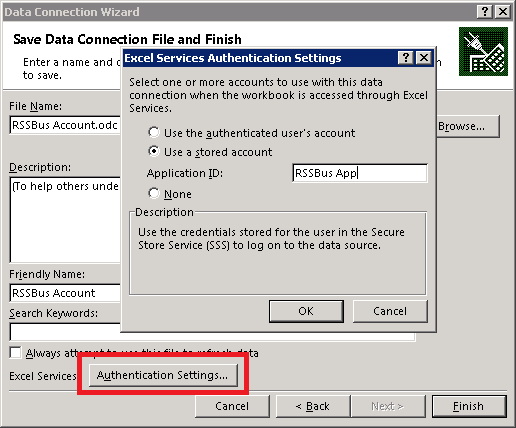 If you prefer, you can use the Excel Services Unattended account and skip to step 3 below. First, set up a secure store application to use single sign-on. In SharePoint Central Administration, go to Application Management -> Manage Service Applications. Select your secure store service application or create a new one. Click Manage on the Edit menu to begin editing the application. Create a new target application. You will be able to set the list of users who have access to this application. After the application is created, you will need to set the credentials on the application so that you can use this later for single sign-on. Navigate to Application Management -> Manage Service Applications in SharePoint Central Administration. Select the Excel Services application used by your organization or create one if it does not already exist. Click Manage. If you create a new app, check the option to add the service application's proxy to the farm's default proxy list. Click on Trusted Data Providers and add a new trusted provider. Set 'MSDASQL.1' for the Provider ID and leave the type as 'OLE DB'. Click OK to add this new provider to the list of trusted providers. After you have enabled and secured access to the DSN, you can access the data source from the ribbon in Excel. In an Excel spreadsheet, open the Data tab and click From Other Sources -> From Data Connection Wizard. Select 'Other/Advanced' for the type and on the next screen, select the 'Microsoft OLE DB Provider for ODBC Drivers'. On the Connection tab, select the System DSN. Select the table you would like to connect to. On the last step of the wizard, click the 'Authentication Settings' button. Select the 'Use a stored account' and enter the name of the secure store target application you created earlier. Or, if you want to use the Unattended Service Account, select None. After you finish the wizard, the data is imported into the spreadsheet. You can now update and save Salesforce data directly in SharePoint.